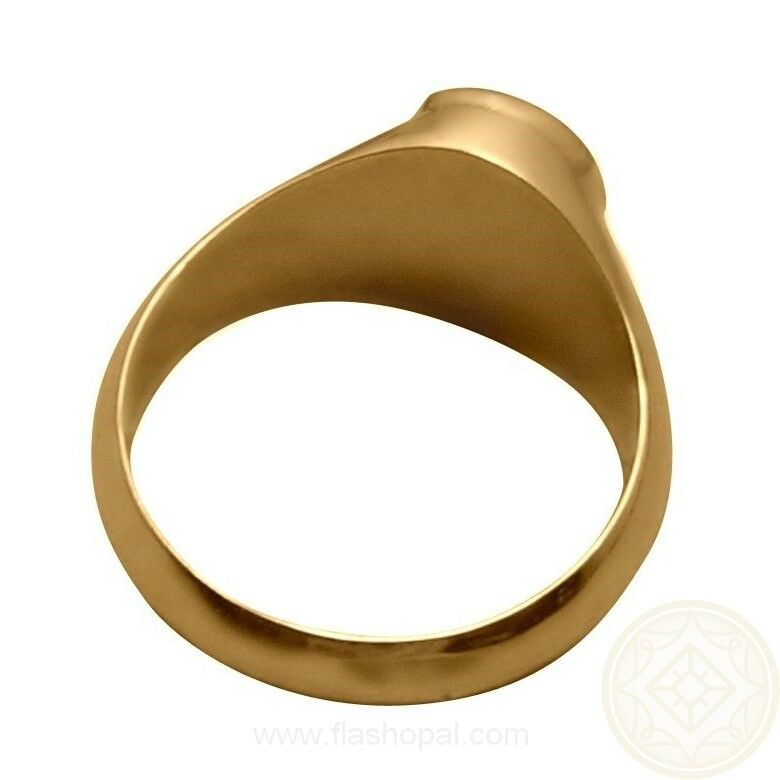 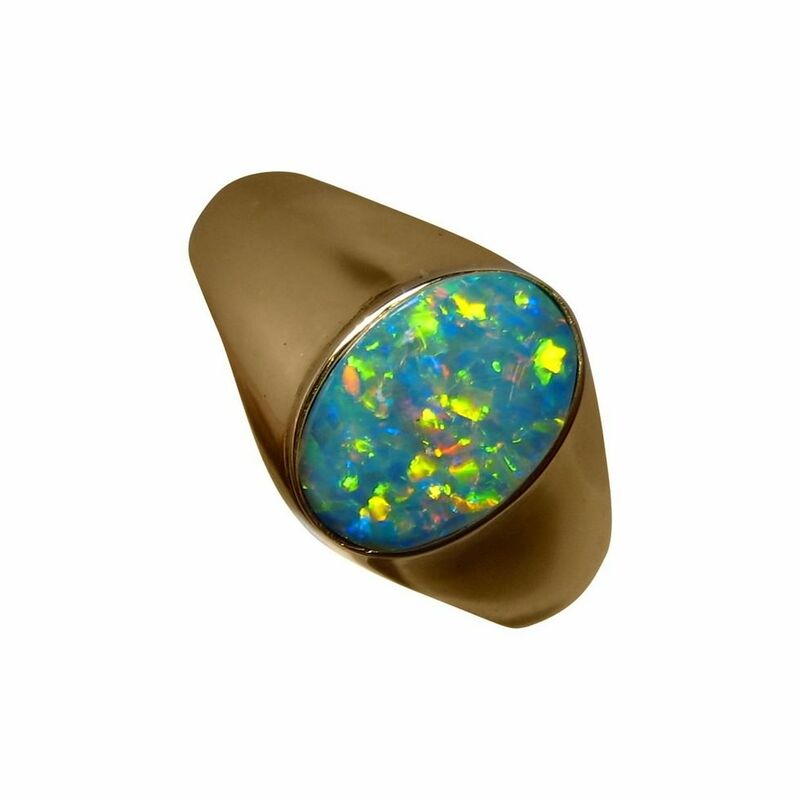 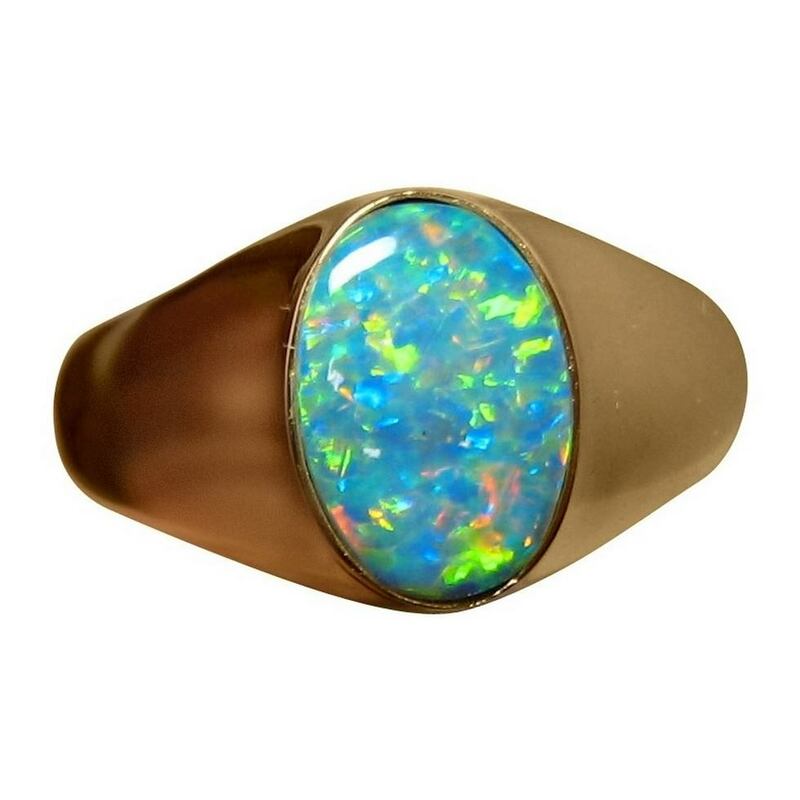 A quality mens Opal ring in 14k Gold featuring a colorful oval Opal with a lively play of color. 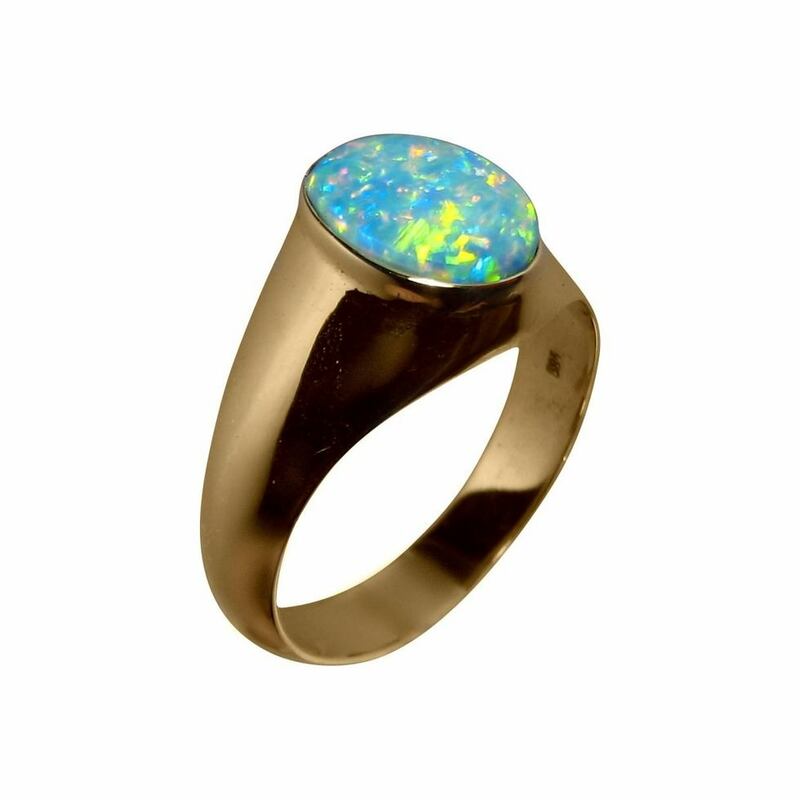 This Opal ring for men is in 14k Gold weighing almost 7 grams with a wide band of half an inch at the top, tapering down the shank. 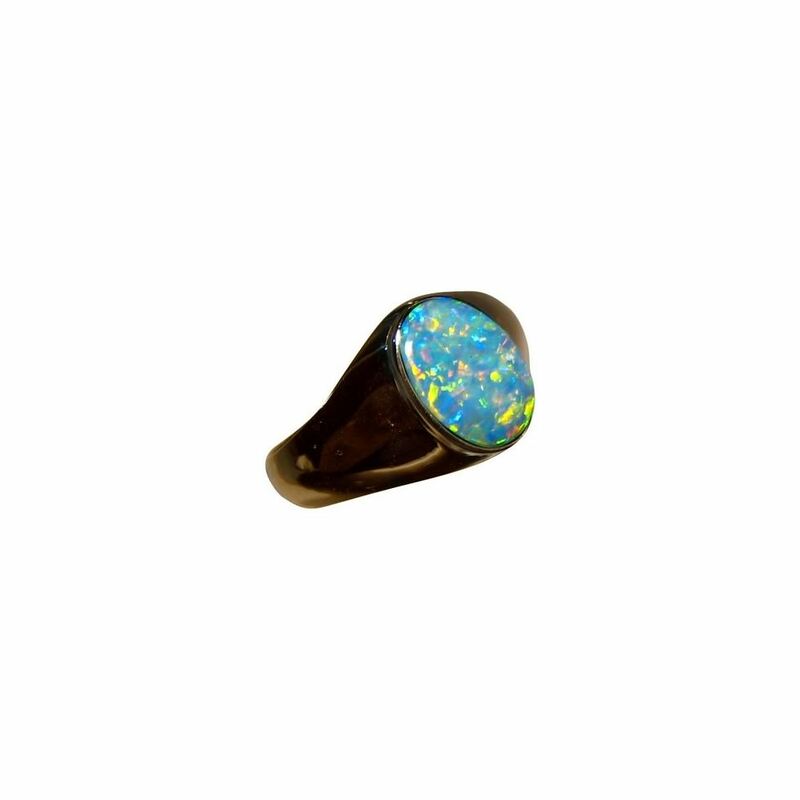 The Coober Pedy Crystal Opal has a stunning display of color in a lively Pin Fire Confetti pattern which is best viewed in the video below. 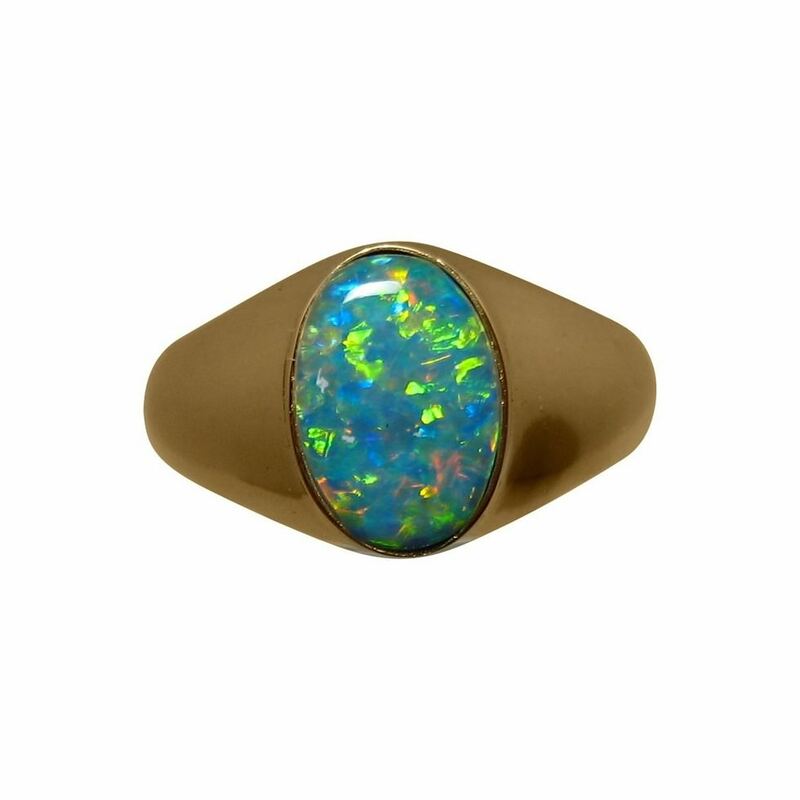 The oval Opal weighs 2.1 carats and is shown in a 14k Yellow Gold ring ready to ship in a size 10 ¾ or will take about 7 days for any other ring size or in White or Rose Gold.